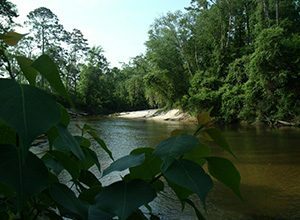 One of Louisiana’s most enjoyable Scenic Waterways is located in Mittie, LA. The Ouiska Chitto is known far and wide for its canoeing pleasures. Your senses come to life on the Ouiska Chitto in springtime. Smells of pine, fresh water, and wild flowers, mixed with the sounds of the creek and local bird songs will have you relaxing to the max. If you are into primitive camping, the Ouiska Chitto is for you. Sleeping beneath the starlit sky, enjoying the sounds of nature’s night life, and eating a campfire meal makes for a guaranteed good old time camping on the Ouiska Chitto. The Ouiska Chitto has white, sandy beaches. Add that with the sounds of the river, and the peaceful melodies of the local birds, and you and this equals a most enjoyable canoe trip. So plan a fun-filled day and even an overnight stay. 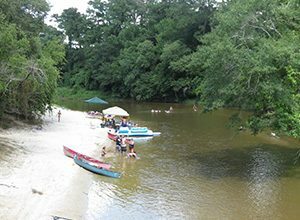 Bring your family and friends and experience nature at its best and have a wonderful and exciting time canoeing down the Ouiska Chitto.